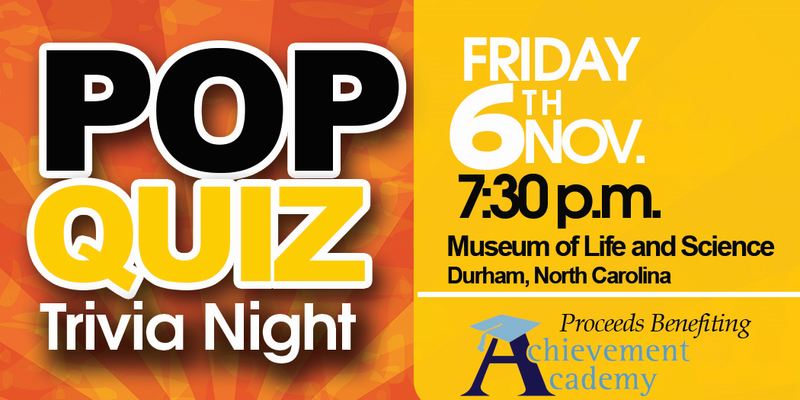 I’ll be hosting the 2015 Pop Quiz to benefit the Achievement Academy of Durham. Come join me for a night of great trivia and all for a good cause! Get tickets at Eventbrite. You are currently browsing the archives for the 2015 Pop QUiz category.